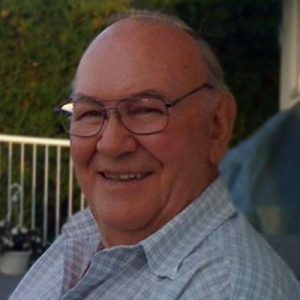 Allan passed away on Monday, March 25, 2019 at the age of 84 at the Hamlets in Penticton, BC. He is survived by his daughters Kerry-Lyn Richard (Lyle) and Donna Wobick (Kevin); grandchildren Jeanna (Jeremy) Schraeder, Jeff (Brooklyn) Richard, Jason (Michelle) Wobick and Jordan Wobick; 7 great-grandchildren; sister Diane (Rick) Tearoe; and numerous nieces and nephews. He is predeceased by his wife Rosemarie, 2 sisters and his grandson Jared Wobick. Should family and friends so desire, memorial donations may be made to a charity of choice. My deepest condolences to you and your family at this very sad time. I had the pleasure of working with your father at ICBC for a number of years. He was a very kind man with a wonderful smile, always ready to help when you needed him to. He will be fondly remembered. Wishing you all great comfort as you hold memories of him close in your hearts. Al was a special guy. We all loved him at ICBC. He will be missed for sure. My sympathies to all he has left behind. To everyone…we share our thoughts. His contagious smile lives on in all those amazing great grandsons. Cookie decorating won’t be the same. What a great great man. Our thoughts to everyone. Our thought are with you in the passing of your dad. We remember many years ago the Robertson mixed curling team was the one to beat in the fun curling bonspiels.